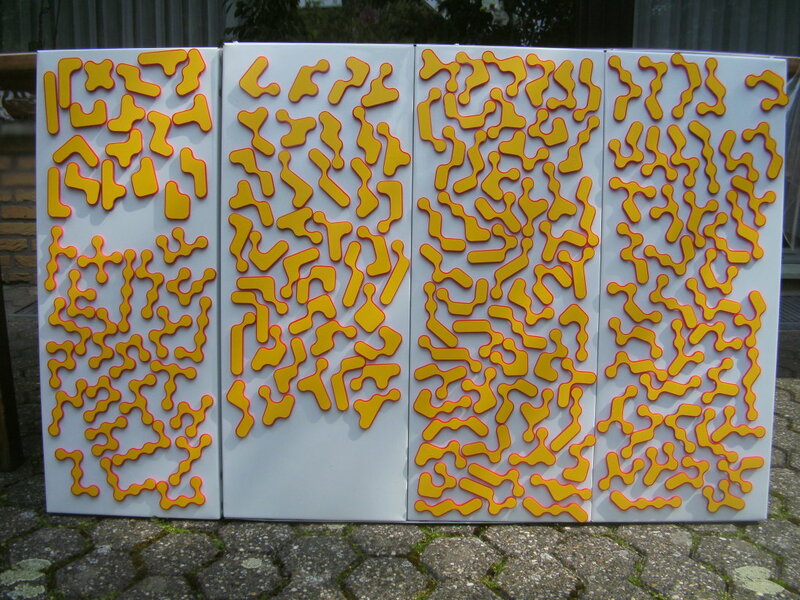 Among th 94 Polyplets there are three holey pieces with different possibilties to select bridges. 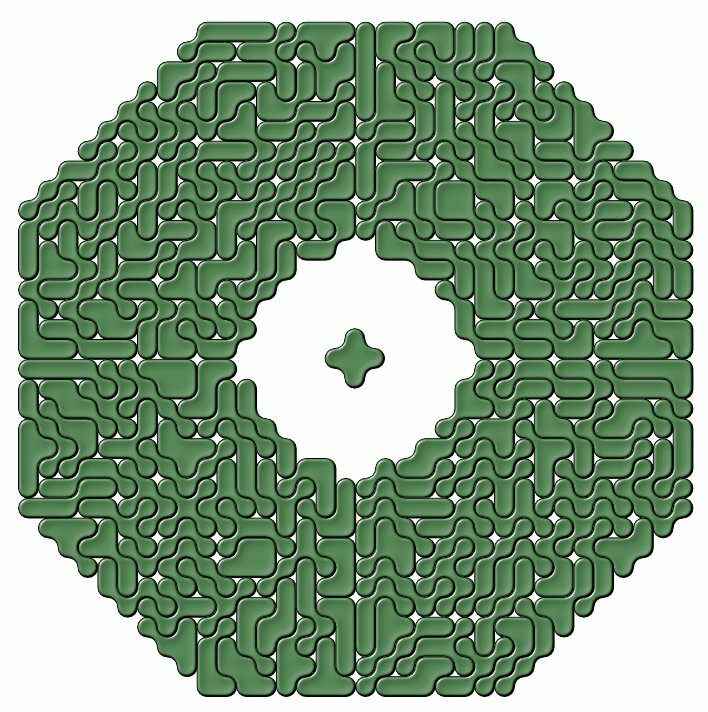 Therefore the number of Rounded Polyominoes is 94-3+2+4+2 = 99. With the whole set I constructed rectangles of size 9x55, 11x45 and 15x33. 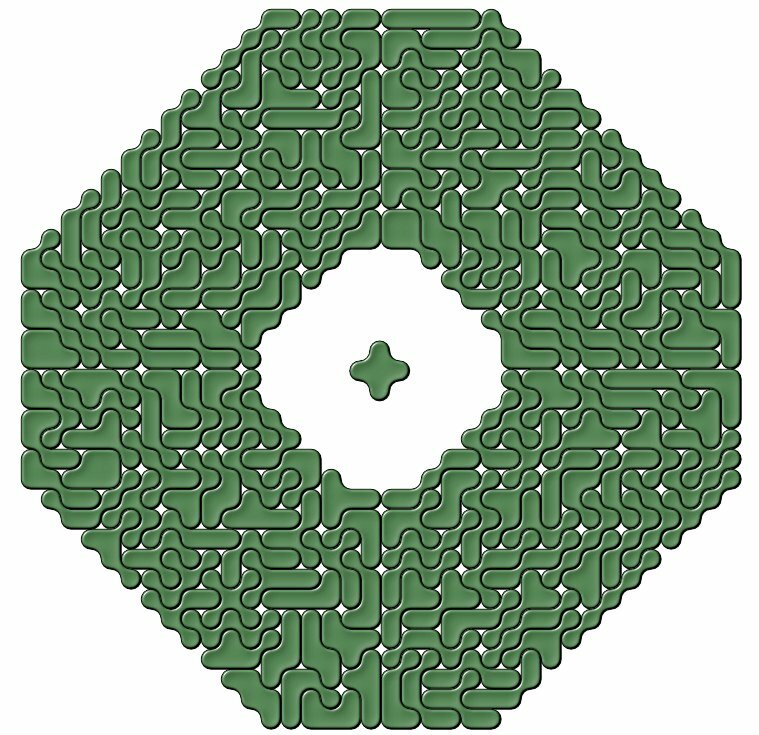 Three congruent octagon like pattern are possible, too. Eric Harshbarger used a laser cutter to produce the set. 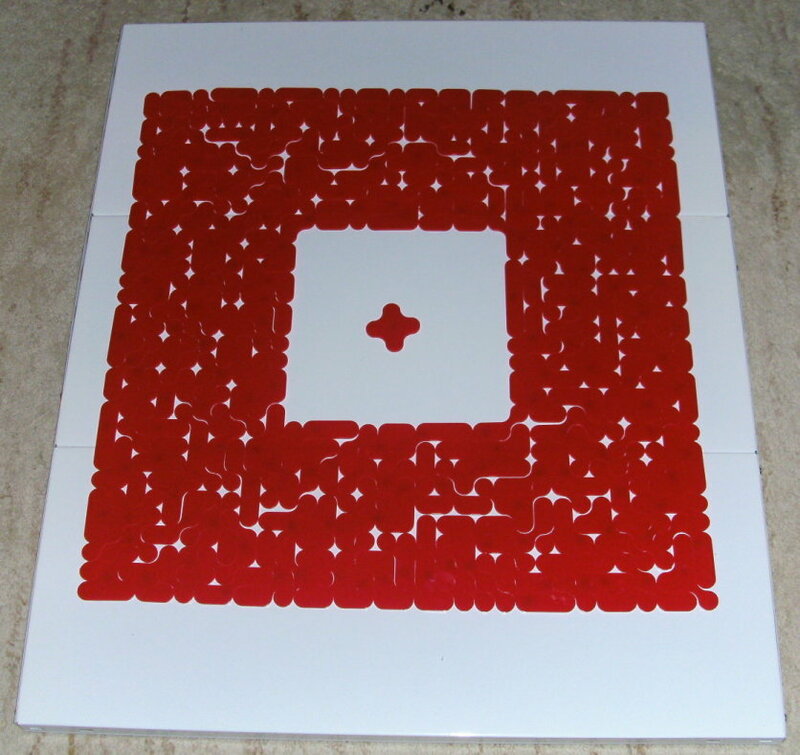 A friend of mine produced the 177 one-sided pieces with his milling machine from red acryl. 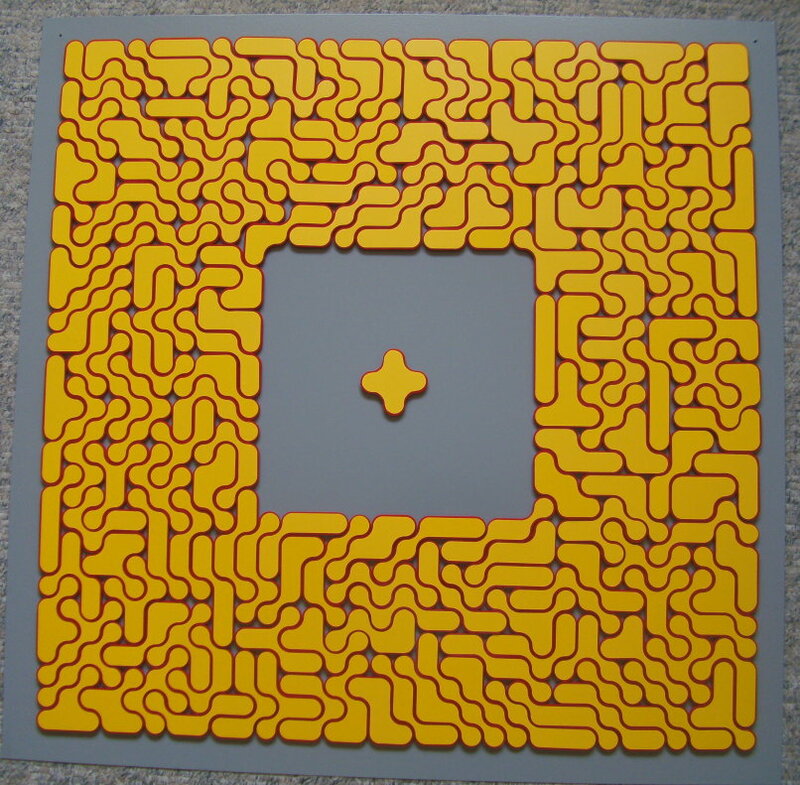 Unfortunately it was hard to spot the single pieces in a pattern as you can see in the picture. Therefore I cut the same shapes with a little inset from yellow adhesive film using a cutting plotter. At last little magnets were attached to the back of the red pieces and the yellow shapes to the front. Then the pieces were sorted according to their number of bridges. This way it's easier to see the outline of the pieces in the whole pattern. You can try to place other symmetric pieces in the center of the frame. 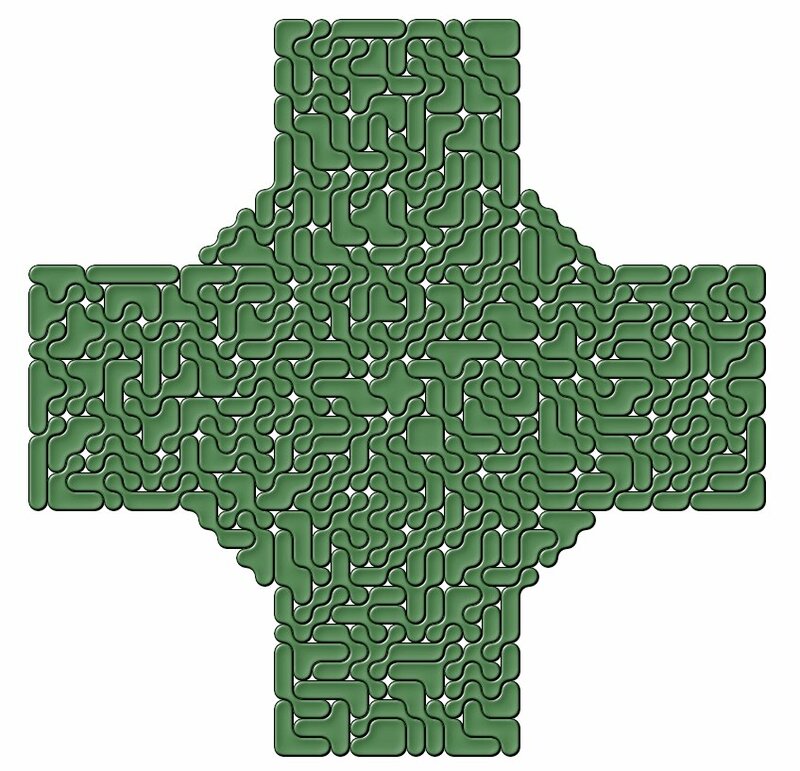 Beside the 15x55 rectangle I got solutions for many symmetric pattern. 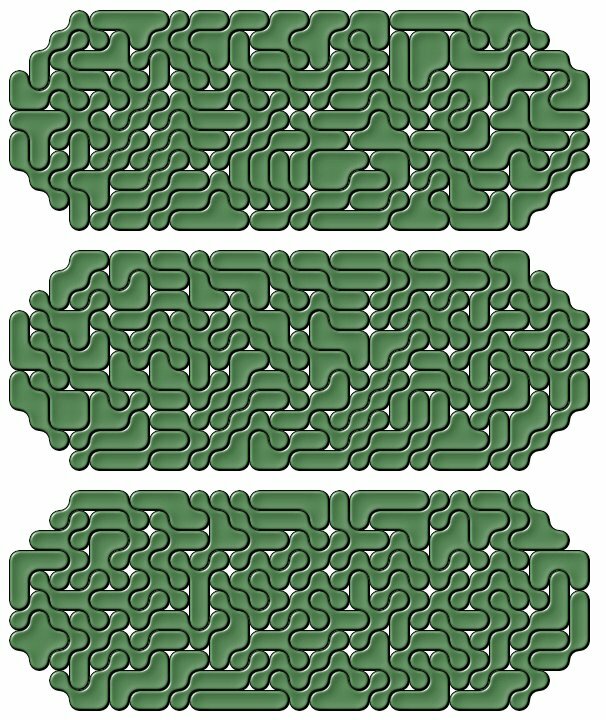 I had to divide them in two or more parts, which were solved separately. As a mutiple pattern I constructed three ovals.